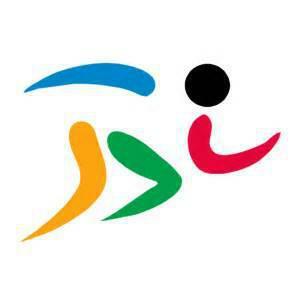 Wednesday 23rd September -our first event competing in our local cluster was cross country at Parkside School. Great results across the board and well done to all who took part. A special well done to Harvey Barnes Year 6, Harry Broadley and Mya Smith Year 4 who all came 1st in their age groups. Zara Butler Year 5 came 2nd. All these pupils will take part in the next round at Cottingham High School on the 20th October along with our Year 3/4 Girls team who also qualified. Good luck!! Tuesday 29th September -our Year 5/6 boys football team took part in a football tournament at Goole Academy and came 2nd. They won the large schools event and will now take part in the next round at South Hunsley on 21st October. Well done boys!! Tuesday 6th October - our Year 5/6 Girls took part in a football tournament. They played well as a team and thoroughly enjoyed themselves. 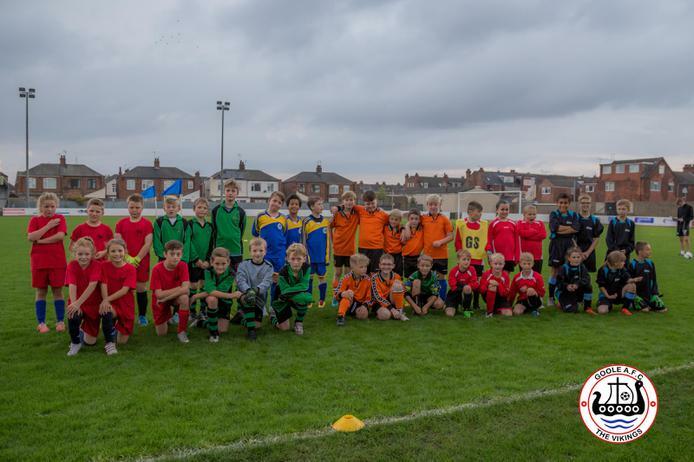 Also on the 6th October Mrs Huscroft went along to Goole AFC with 6 of our Year 5 children to take part in a football event held before Goole's cup game against Tadcaster Albion. Tuesday 13th October - Our Year 6 netball team became winners of the Olive Hunt Netball trophy for the 5th year running!!!!! What a fantastic achievement! Tuesday 20th October - A fantastic result at the Cross Country final held at Cottingham High School. 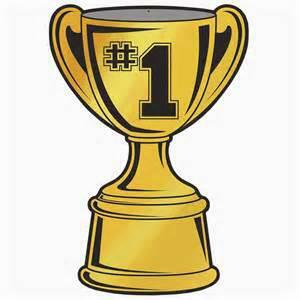 We have a total of 6 children qualifying for the next round in the Spring Term!! Harvey Barnes (Year 6), Harry Broadley (Year 4) and Mya Smith (Year 4), all came in the top ten individual pupils to qualify and our Year 3/4 girls also qualified with an overall position of second with a great team time. Well done to all who took part. Wednesday 21st October -Our boys football team went to South Hunsley to take part in the next round of the football tournament after qualifying in September. Although we didn't qualify to progress any further, the boys did Hook school proud and played some excellent football. Wednesday 11th November - Once again our netball team excelled themselves and won the area tournament, winning every match!!! We will now play for the Goole schools cluster cup after Christmas. Well done team!!! Tuesday 17th November - Triumphant again!!! Year 5/6 went to Goole Academy and won the indoor athletics. We now progress to the next round to be held in South Hunsley. Wednesday 25th November - our final event for the term was the indoor football tournament at Goole Academy. Our Year 5/6 Boys were winners once again!!! We will now take part in the Cup final next term. A massive well done for all involved in our achievements so far this year. You are all super stars!! Wednesday 27th January - our first event of 2016 was the netball cup final held at Goole Academy. A fantastic result, as we won the cup back for the 6th year running. Well done team!! Tuesday 2nd February - triumphant once again at the football final. Our Year 5/6 boys brought the football cup back to school for the second year running. Well done boys!! Tuesday 9th February - a great effort from our Year 5 and 6 athletics team who took part in the regional final Sportshall Athletics at South Hunsley. Wednesday 2nd March - Our Year 4 Benchball team won the competition at Goole Academy and will now play in a cluster final on the 3rd May. Good luck team!! 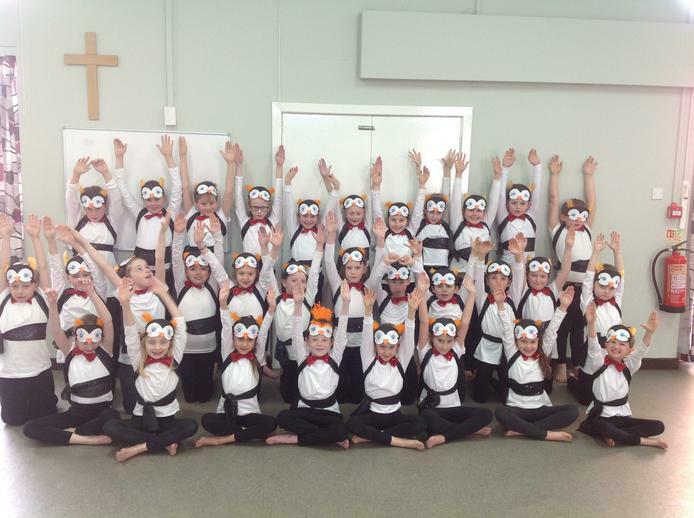 Tuesday 15th March - the whole of class 4 got into the character of and dressed as penguins to dance to The Rhythm of Life in this years dance festival. 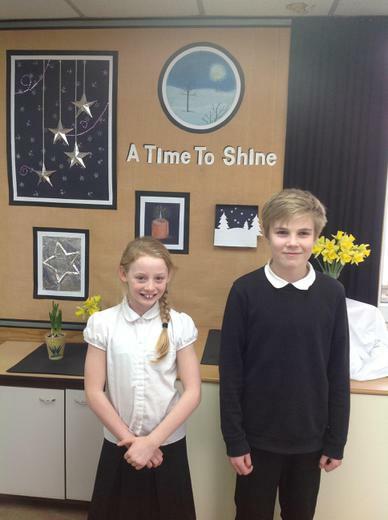 We were chosen to be on Radio Humberside and went on to win the Goole Schools competition! We look forward to taking part in the county final at Cottingham High School. You can see their amazing performance on Year 4's web page. Wednesday 23rd March - Pupils from Years 5 & 6 took part in the clusters Orienteering competition at Parkside School. Our Year 6 team qualified to take part in the next round to be held at Burton Constable in May. Tuesday 19th April - Our Year 4 dancer went to Cottingham and did us very proud. They won awards for their technical skill and the most entertaining. They were very worthy runners up in the whole competition. Thursday 21st April -Well done to all pupils from Years 4 and 5 who took part in the KS2 swimming gala at Goole Leisure Centre. 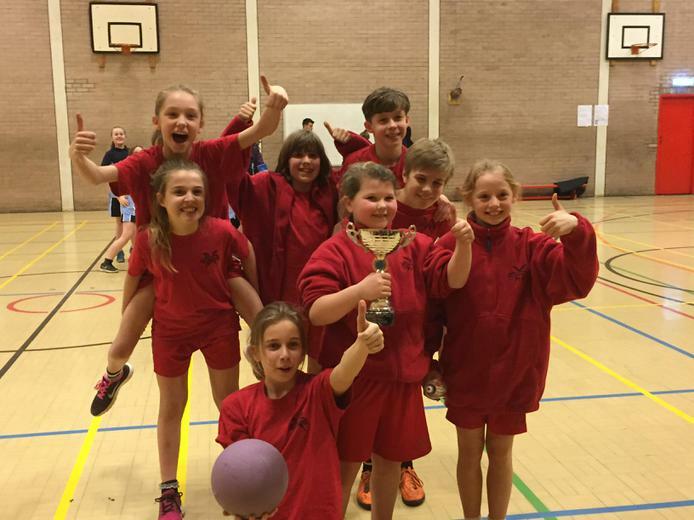 Tuesday 3rd May - Another amazing result for our Year 4 Benchball team. Winners of the regional final at Goole Academy!! 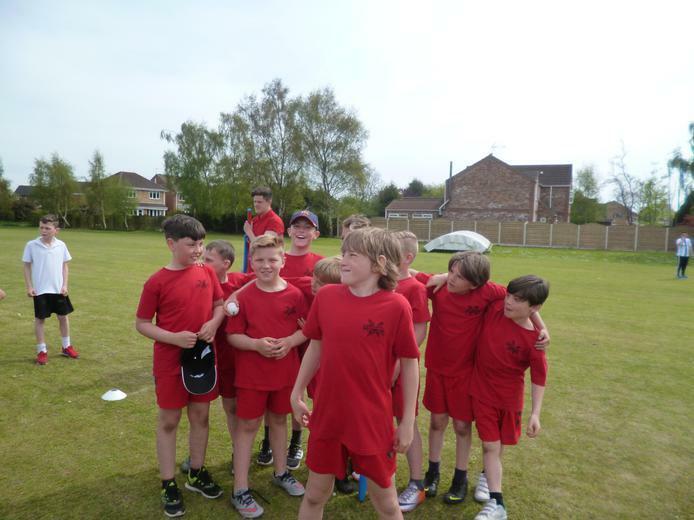 Friday 6th May - Well done to our Year 5 boys for taking part in the Kwik Cricket at Goole Cricket Club. A lovely afternoon had by all. Ellie Carter and Harvey Barnes, both Year 6 pupils were awarded the sports personality of the month for their tremendous efforts both in PE at school and in our out of school activities. 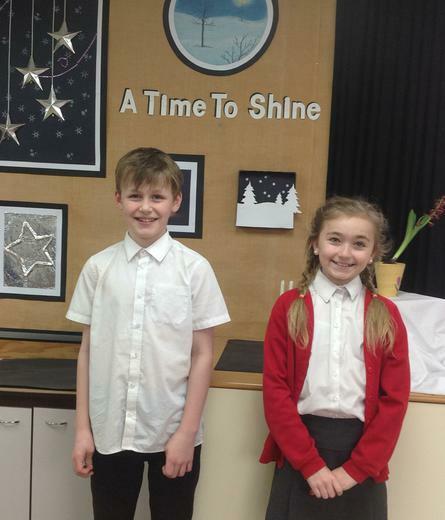 James Ward (Year 6) and Zara Butler (Year 5) were awarded the sports personality of the month for their tremendous efforts at the recent Sports Hall Athletics event as well as their efforts in school. 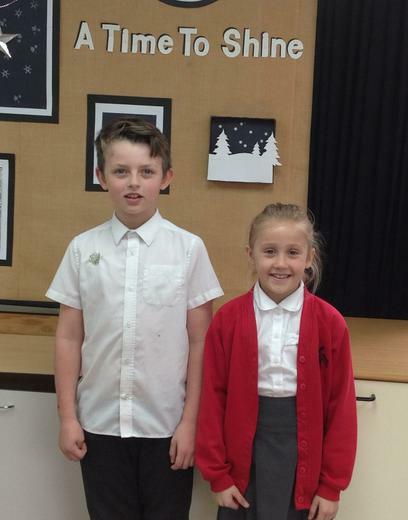 Max Innes and Ruby Broadley both from Year 4 were awarded the sports personality of the month for their tremendous efforts at the recent Dance Competition as well as their efforts in school.